Composer Karol Pahor (1896–1974) stood out on several levels and is recognized as one of the most distinguished students of Slavko Osterc, his opus shows the stylistic diversity resulting from various factors. As a composer he deviates from the usual stereotypes, the standard being that the composer relies on his teacher during his formative years then sharpens and profiles in his own direction which leads him forward and often changes with the new contemporary compositional schools. This article attempts to determine what patterns and views he had through different periods and how he was shaped as a composer by the environment in which he lived and worked. Darja KOTER (darja.koter@ag.uni-lj.si) is a full professor at the Academy of Music of Ljubljana University. Research works on various topics like the history of musical instruments, music iconography, music performing and about works of composers. Collaboration in research projects of the University of Bonn and the University of Ljubljana. 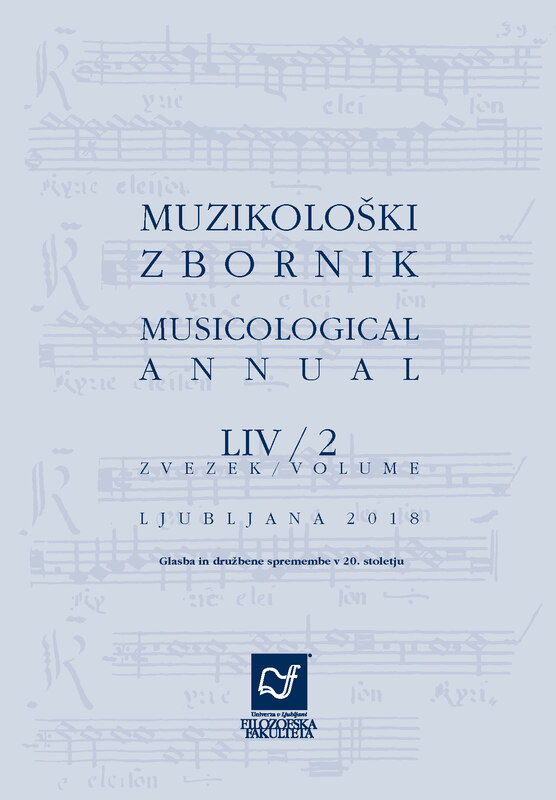 Monographs: Glasbilarstvo na Slovenskem (2001, 2004), Musica coelestis et musica profana. Glasbeni motivi v likovni dediščini od severne Istre do Vremske doline (2008), Slovenska glasba 1848–1918 (2012), Slovenska glasba 1918–1991 (2012). In the year 2014 she has received the Mantuani award.